The central government of India has announced about the second phase of the Unnat Bharat Abhiyan initiatives. The authority has invited students of higher educational institutions in India to participate in this initiative. The students will be selected as per their eligibility criteria. 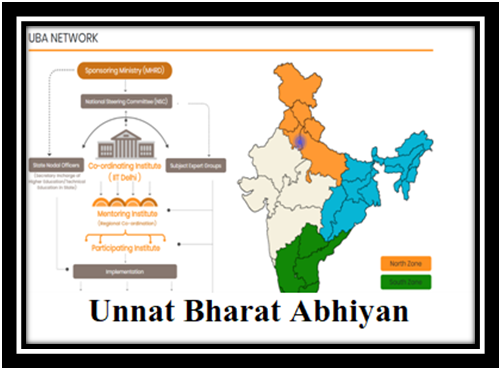 Unnat Bharat Abhiyan was launched for the first time in the year 2014. The Human Resource & Development Ministry of India has launched the initiative to enhance the lifestyle of the villages and the rural people. Objective: The main objective of the scheme is to provide better future to the community and people living in remote rural areas. According to the HRD minister of India, students are the powerful base that can develop a better future of this nation. With their support, the people living in the villages can make a better life. Participants: The initiative was taken by the HRD Ministry in partnership with the Indian Institute of Technology (IIT). There are other engineering colleges such as NIT, NITTTRs, Pune Engineering College and some other government run colleges which are part of this initiative. Initiative: As mentioned, the initiative is taken to enhance the standard of living of the rural people across the nation. Under this scheme students of these mentioned colleges are assigned villages. They visit the villages, stay there for few days, take up their lifestyle and understand the problems they face. This helps the students to know more about the daily problems of the inhabitants. Benefits: This initiative helps the students to understand the need of the people living in underdeveloped places/areas. Their sanitization, living, waste management, child and women development, overall quality of life and so on will be known to the students under this initiative. Scope of Development: As the college students will be assigned this work, they can be more aware of the problem faced by the people living in such areas. It will make them develop more facilities, advance technology, affordable goods and services and such that can empower the inhabitants. The phase: First phase or edition of the Unnat Bharat Abhiyan was first started in the year 2014. In the first phase there were 132 villages were selected. Alongside there were 16 institutions were selected which had participated in the initiative. Implementation: The initiative was implemented successfully. In the year 2017, the Ministry of HRD, Ministry of Rural Development and Gram Panchayat had signed a Tripartite Contract. According to the contract, not only the engineering colleges, but also other higher educational institutions will be linked and added to the initiative. Announcement: The HRD Ministry of India has announced about the second edition of the initiative on 25th April 2018. Union HRD Minister Mr. Prakash Javadekar has launched and announced the initiative’s second phase in Delhi. Implementation: The main implementation will be done through the IIT Delhi. Under their supervision other colleges will implement the initiative across the nation. This year 750 higher educational institutions have been selected to join the Abhiyan. Participation: On the launching ceremony, a seminar was conducted by the HRD ministry. They have announced that over 45, 000 villages will be covered under this Abhiyan for that the authority will need at least more than 8000 students. A large number of students have participated in the seminar on the launch. Two-way learning process: As the students will be part of the initiative, they can share their knowledge and skill with the villagers. On the other, the students can learn many real life activities from the villagers and their rural lifestyle. It is named as two-way learning process which will be helpful for both the rural people and the students. The institutions will lead the students to live in those villages. They will have to observe their daily life. Also the students will have to adopt the life style they lead. This will lead to bring about the awareness among the students about the real life problems these people face. In accordance, the students are required to develop technologies and other facilities so that the villagers can take up a better life in future. Each selected institution will help their students to adopt the villages and work on that accordingly. Institutions are required to further contact the district magistrate, officers, local bodies and such to implement the initiative. Panchayats of the villages will also be considered to be coordinated with the institutions. It will be a two-way learning process. Along with the government, now the youth will join hands to serve the rural India. Also the government has stated that the migration from rural to urban would be now reversed. People will get more opportunities in the rural areas to survive. They do not need to move to the urban areas to seek for work or survival. Educational facilities in rural areas are not well-developed. Ministry of Human Resource Development is all set to implement Unnat Bharat Abhiyan 2.0. Under this project, each higher education institute will take charge of five rural areas. The main task of these educational institutes will be to access rural potentials and develop financial and social factors. Apart from this, educational institutes will also assist in better implementation of all government programs. A total of 748 educational organizations have already been roped in to ensure the success of this scheme. Direct association of these institutes will bring about overall progress of Indian rural regions.